The BC SPCA has launched a new television campaign that celebrates the unique bond shared by humans and their furry companions. The three 15-second spots focus on the theme “Animals bring out the human in us” and highlight three distinct aspects of our relationship with our pets: “Animals bring out the child in us”, “Animals bring out the lover in us” and “Animals bring out the healer in us”. “In the ‘lover’ spot, we celebrate the bond of unconditional affection and love we share with our pets,” says Chortyk. “Our animals don’t see our flaws or shortcomings – they love us as we are, which is a pretty amazing gift to have in our lives.” The final spot highlights the healing bond between humans and animals. 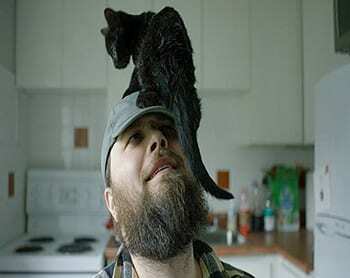 The ads will run throughout 2016 with a link that takes viewers to the BC SPCA website for more information on how they can celebrate the unique bond we share with animals.